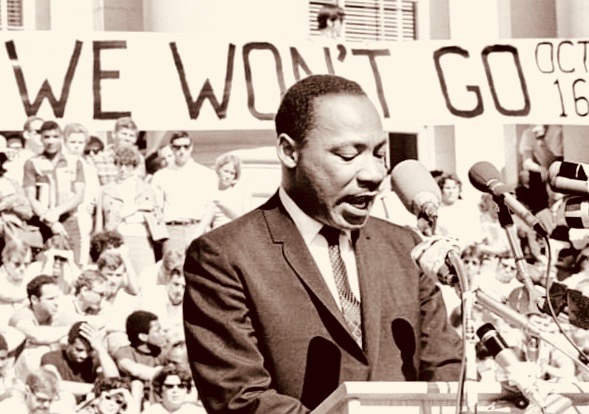 April 4 – In 1968, civil rights leader Martin Luther King Jr., 39, was shot to death in Memphis, Tenn. 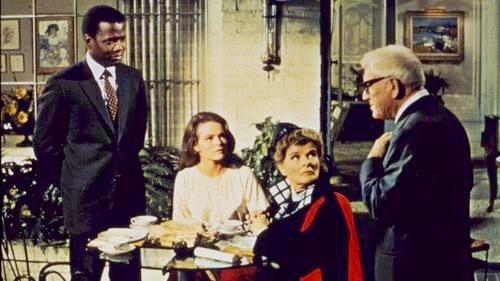 Even 50 years ago, in a nation inflamed by prejudice and civil rights marches, the interracial marriage fable “Guess Who’s Coming to Dinner” played suave and polite at a defining moment when cinema was shifting from studio conventionality to bracing realism. Directed by Stanley Kramer, the film was a mannered Hollywood take on an incendiary topic. Some critics found it bland and patronizing, but it was a commercial hit that epitomized mainstream Hollywood’s liberal leanings at a time when more revolutionary films about social upheaval, such as “The Graduate” and “Bonnie and Clyde,” were recasting American sensibilities. Kramer was known for his socially conscious if orthodox movies, including “Inherit the Wind” and “Judgment at Nuremberg.” “Guess” fit his political and narrative instincts. It was released the year the Supreme Court struck down laws in more than a dozen states that banned mixed-race marriages. The film — along with the interracial police drama “In the Heat of the Night” — opened in an era of unrest that would lead months later to the assassination of Martin Luther King Jr. and nationwide race riots. Both films were nominated for a best picture Oscar and starred Sidney Poitier, an urbane black actor bankable with white audiences. That allure was heightened in “Guess” by the two other leads, Katharine Hepburn and Spencer Tracy, who gave the film the imprimatur of Hollywood royalty. It was like slipping a revolution into an evening glove. Kramer challenged Southern white audiences early in the film with a kiss between John Prentice (Poitier), a Yale-educated doctor and humanitarian, and his white fiancee, Joey Drayton (Katharine Houghton). Kramer and Houghton received death threats after the film’s release. But the movie tested and was cushioned by the ideals of the white, liberal elite. Drayton’s parents, Matt (Tracy), a newspaper publisher, and Christina (Hepburn), an art dealer, lived high in the San Francisco hills. Race in America today remains confounding and dangerous. Discrimination and schisms have led to the shootings of African American men by police, the rise of the Black Lives Matter movement, identity politics and a new president who has been criticized for drawing lines between races and whose Supreme Court nominees might threaten gay marriage and LGBT rights. The themes in “Guess” have since broadened to other ethnicities and life styles, revealing at once the nation’s diversity and the backlash against it. Civil rights and racial narratives are explored in smart TV shows like “black-ish” and “This Is Us”; the biting films of Spike Lee; Barry Jenkins’ “Moonlight” and Ava DuVernay’s “13”, both nominated for Academy Awards; and “Loving,” the current biopic about Richard and Mildred Loving, the interracial Virginia couple whose Supreme Court case struck down laws against mixed marriages. Much more so than “Guess,” which opened months after the case was decided, “Loving” depicts the peril interracial couples faced half a century ago. Kramer’s movie, which earned 10 Academy Award nominations, is also looked on with nostalgia for one of cinema’s most potent duos. Tracy died shortly after filming what was his last of nine collaborations with Hepburn, who won an Oscar for her performance. The couple’s on- and off-screen romance was legendary, and Tracy’s soliloquy in “Guess,” whose script was written by William Rose, played as a personal love letter to Hepburn.